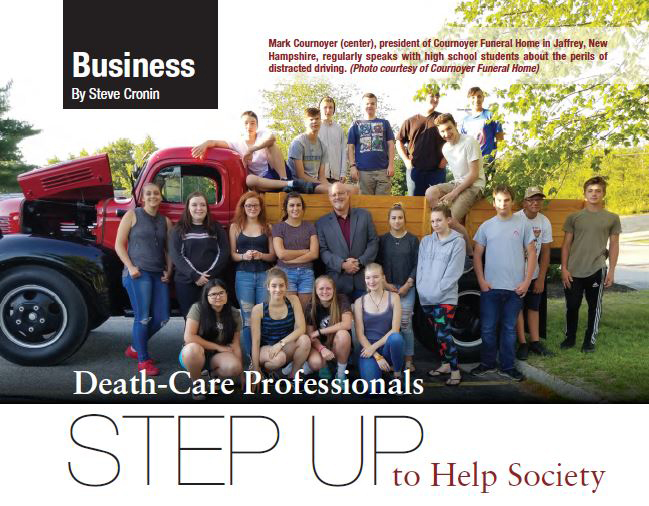 Recently, Mark was featured in this article in the September edition of American Funeral Director Magazine. 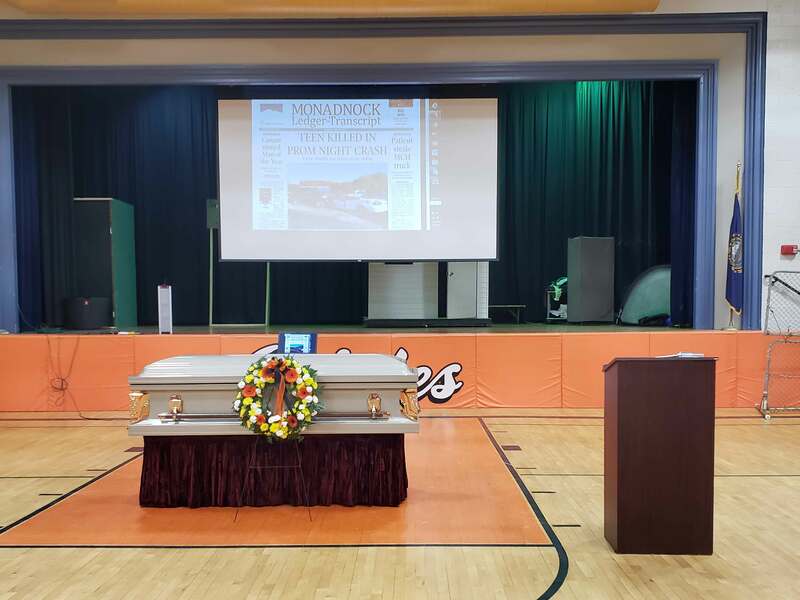 The Cournoyer Funeral Home once again assisted with “Project Crash” at Conant High School. 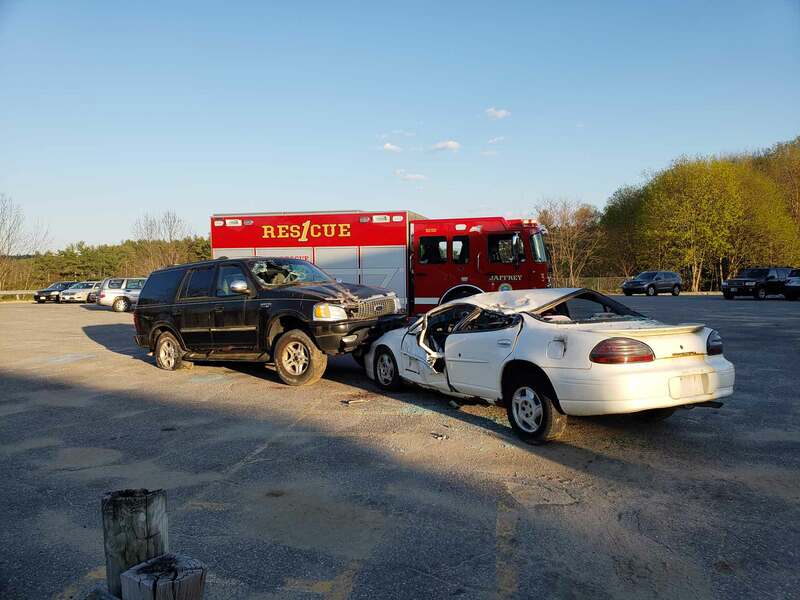 Many first responders in the towns of Jaffrey and Rindge took part in the simulation, and this was the first time a reference was made to a cell phone distraction, in addition to alcohol impairment, as being causes of the prom night collision. It was an honor to be recognized for my efforts with distracted driving. 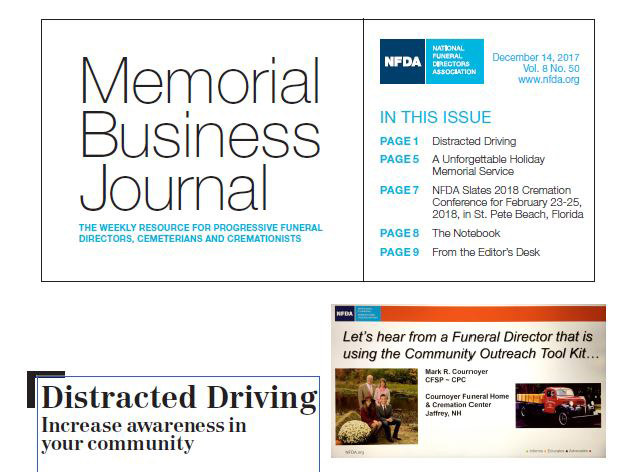 While I am very grateful for the recognition, I know that what I am trying to do is nowhere near enough, when I drive down the road each day and see driver’s eyes looking straight down, instead of down the road. Thank you, Senator Hassan, for this honor, and thank you for any efforts you can help with in trying to keep people focused on driving safely. Every day in the United States, about nine people are killed and more than 1,000 are injured as a result of distracted driving. Our first Granite Stater of the Month for 2018, Mark Cournoyer, has dedicated himself to helping make our roads safer by educating drivers — particularly new drivers — about the serious danger and potentially tragic consequences of distracted driving. A former police officer and emergency medical technician in Fitzwilliam and Jaffrey, and now a fourth generation director of the Cournoyer Funeral Home, Mark volunteers his time to helping prevent the kind of accidents that he has responded to for years. He delivers presentations at area driver’s education classes and local schools, sharing statistics behind distracted driving as well as telling real stories about the outcomes of distracted driving with the hope that he can help keep the young people he meets safe. Anything that takes a driver’s attention off of the road — texting, eating, reading, or looking for objects — can result in a tragic accident. 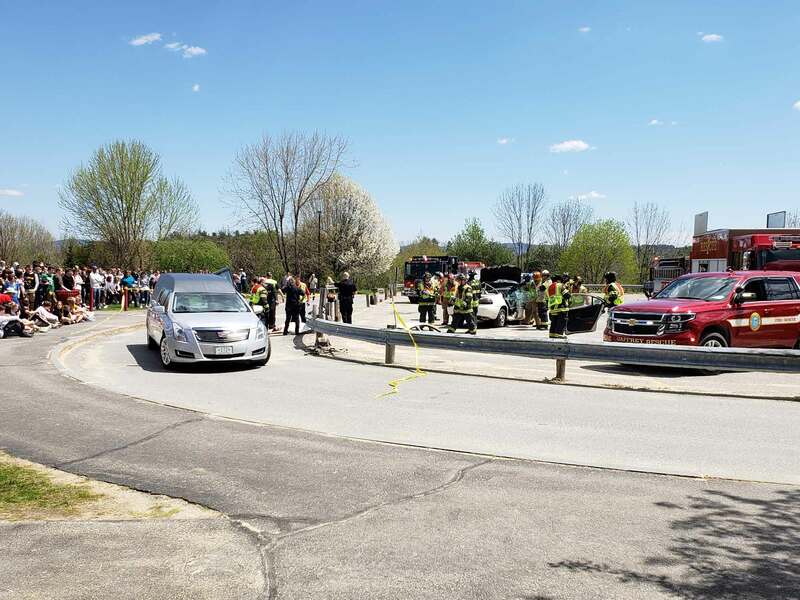 Mark’s efforts are critical to reducing the all-too-common practice of distracted driving, and his dedication to improving public safety can help save lives in his community and across New Hampshire. In towns and cities across New Hampshire, many of our citizens go above and beyond to look out for one another and make their communities safer. Mark Cournoyer has done just that, volunteering his own time and wisdom to making our roads safer and helping to prevent more accidents from distracted driving. It is an honor to recognize him as our Granite Stater of the Month and to join him in raising awareness about this important issue. Mark was invited to assist Jack West from Federated Insurance with his presentation to NFDA at the 2017 NFDA Convention in Boston, MA. 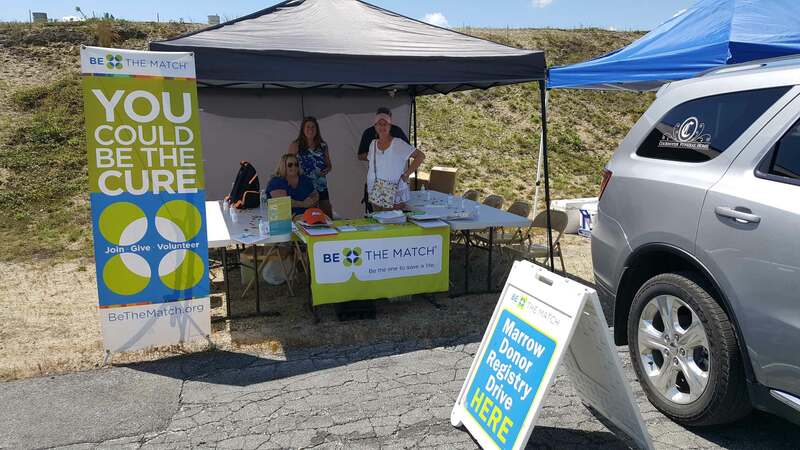 The Cournoyer Funeral Home sponsored another Bone Marrow Drive for the Be The Cure Bone Marrow Registry at the annual Jaffrey Festival of Fireworks. 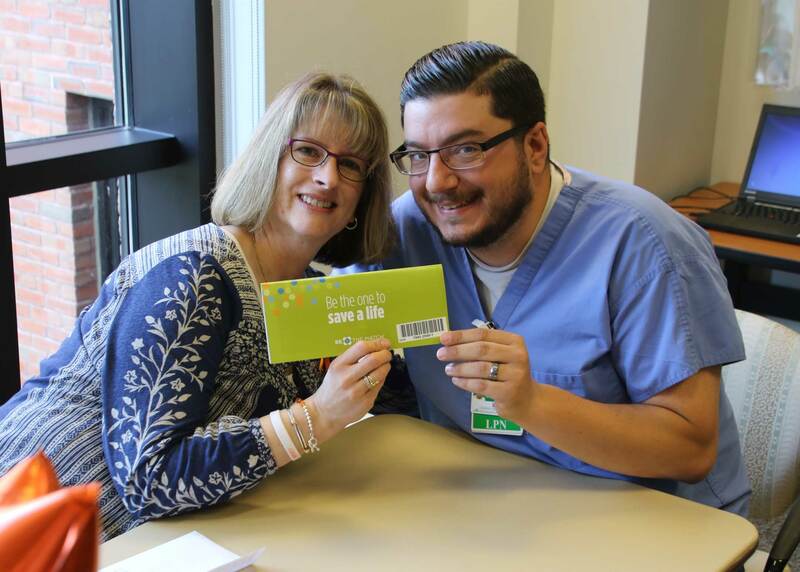 The Cournoyer Funeral Home sponsored their first Bone Marrow Drive at Cheshire Medical Center in Keene in support of Michelle’s brother Mory. 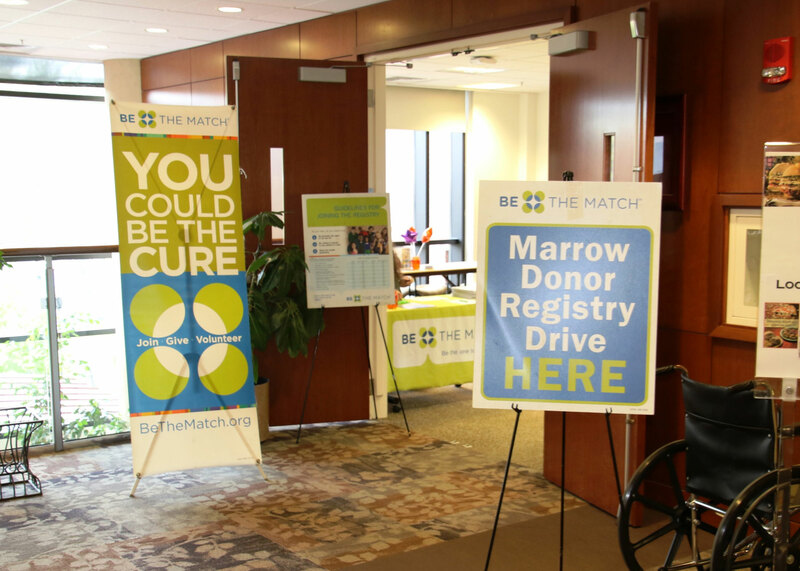 We're very proud to have been featured on WMUR's NH Chronicle. This segment was originally televised on October 3rd, 2011 and it is with NH Chronicle's permission that we are able to share the video with you here.